RENT BOUTIQUE / How it works? Browse through our collection of over 1000 of the best designer dresses and gowns. Book your favourite dress online and we will deliver it to your door. Look amazing at your event. The dress is yours for 4 or 8 days and comes with accidental damage insurance. Place your dress back to the box with a prepaid return label and drop it at your nearest pickup point. We'll take care of the dry cleaning. Clothes end up in the back of the closet or landfills. Power the sharing economy and rent instead. Have an event tomorrow but you have nothing to wear? No stress! Contact us, we are able to organise next working day delivery in all capital cities in Europe. 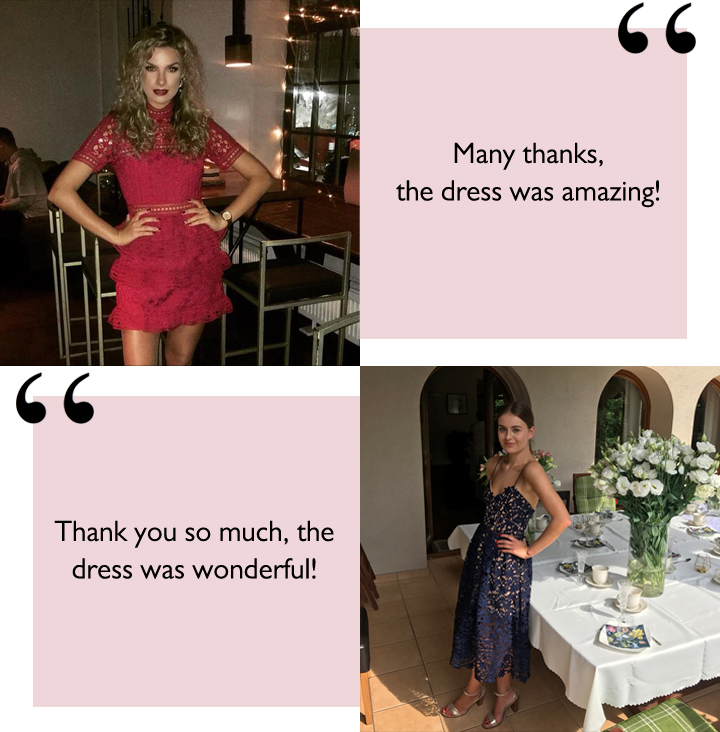 With more than 100 dresses from over 150 top international and local designers, ranging from size 32EU to 50EU, we have something for everyone. Dress don’t fit or you are not happy with it? Send your dress back with all the tags fully intact, and we will send you different dress or give you a refund. In between sizes? Add a backup dress to your order it's free. Chat with a stylist online or arrange a complimentary stylist session over the phone. We're here to help.